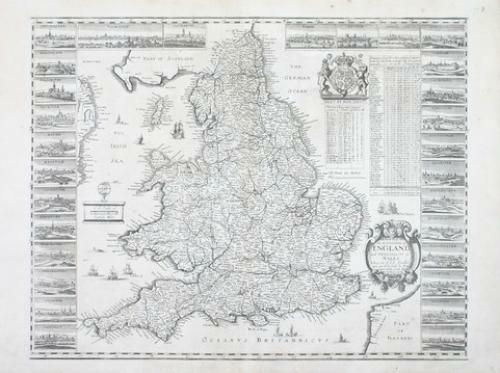 Title: A New Map of the Kingdome of England and Principality of Wales". A very rare map based on Speed with the town views as per Wenceslas Hollar. In very good condition, backed with very fine archival paper.